These specifications are not for a Standard Refit Constitution, but instead are specific to the altered SS Mary Rose. Due the ships age, and the various requirements of her many disparate owners, the SS Mary Rose is heavily modified. Most notably, the SS Mary Rose lacks internal space for crew, due to more cargo holds being installed at the last refit and is equip with a specialized automation network. The SS Mary Rose comes with standard deflector shields and defense fields. This is an older class of shielding system utilised by most non-military and civilian craft. More powerful than light shielding but not as effective or durable as the more advanced regenerative, auto-modulating or metaphasic adaptations. Also used on older military/exploration vessels. 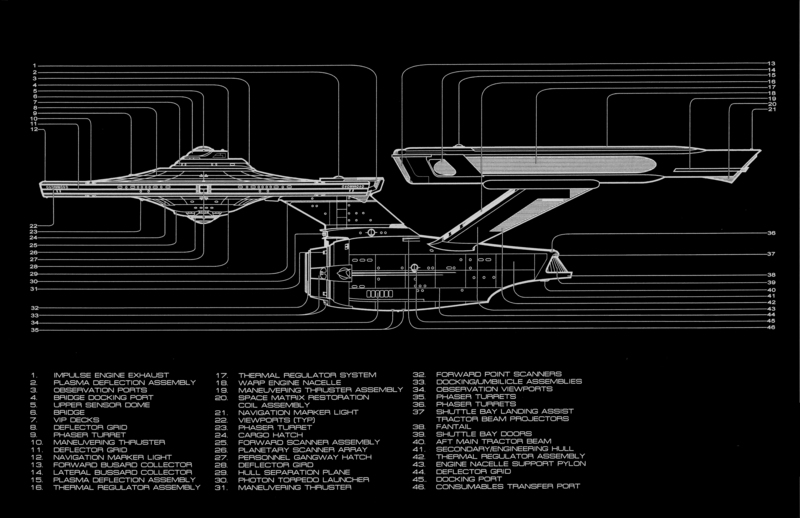 Equipped with five shield generators in the stardrive, the shield force rating of the ship is 109,000MW. The SS Mary Rose is equipped with 18 type VII point phaser emitters, with a phaser force rating of 4.1 MW. Making it a match for rogue asteroids and unarmed shuttles, but little else. There are two forward launchers of the Burst-Fire type 2 make, capable of firing 8 photons, with 16.1 isotons warheads and a range of 2,865,000km, every 5 seconds. As the SS Mary Rose is civilian ship, it does not carry torpedoes. Shuttles Two 7 Person, warp one capable Taxi-Cab shuttles. One medium range cargo hauler.